Dame Dash To Lyor Cohen: "The Plantation Game Is Over"
Dame Dash took to Instagram today (September 25) to call out Lyor Cohen for his comments on Rap Radar’s Podcast where he dismissed Dash’s accusations that he is a culture vulture. “It would bother me if it came from a credible source… I can’t give any light to that. It’s a clown right now,” the image reads. In the interview, Cohen says that he would like to have a discussion with a “credible” source and try to reach an understanding. In the caption, Dame Dash again calls Cohen a culture vulture. “Just like a #CultureVulture won’t answer a direct question and gonna have the nerve to try to discredit a good positive man from our culture for telling the truth in an intelligent way..and still trying to convince us that we’re lucky to be getting robbed by him…they always try to make us think we are winning when we losing when they are trying to rob us …and he still can’t get a dollar from his own culture…I’m not credible?…. Who’s the clown?…And he’s like 70 still trying to get money off the rap game…nobody’s checking for that… The plantation game is over my culture is smarter then that these days…#HustleForYourLastNameFirst #CultureVulture the book coming soon@hip_hop_motivator let’s go! It’s time I’ve been waiting for him to speak after 6 months #nerd,” the caption reads. 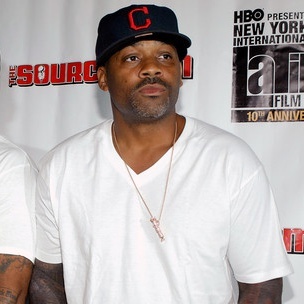 In June 2014, Dame Dash blamed Cohen for the demise of Roc-A-Fella Records. Dash, Kareem “Biggs” Burke and Jay Z founded the label in 1996. It partnered with Def Jam Recordings to release Jay Z’s 1997 album, In My Lifetime, Vol. I. That project established the longstanding relationship between the companies, which included subsequent releases from Jay Z, Kanye West, DJ Clue? and Cam’ron, among others. Lyor Cohen was an executive at Def Jam Recordings while Roc-A-Fella Records was in partnership with Def Jam. Dame Dash’s and Lyor Cohen’s Roc-A-Fella business relationship ended when Def Jam purchased the label in 2004 and named Jay Z president and CEO of Def Jam.